MAX DEPTH 36" WIDTH 6" : FRAME WIDTH 37" : HYD. 3000 PSI : WT 390 LBS. 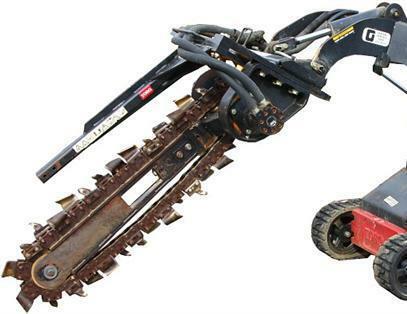 * Please call us for any questions on our trencher attachment dingo 36 inch x6 inch rentals in Cincinnati Ohio.